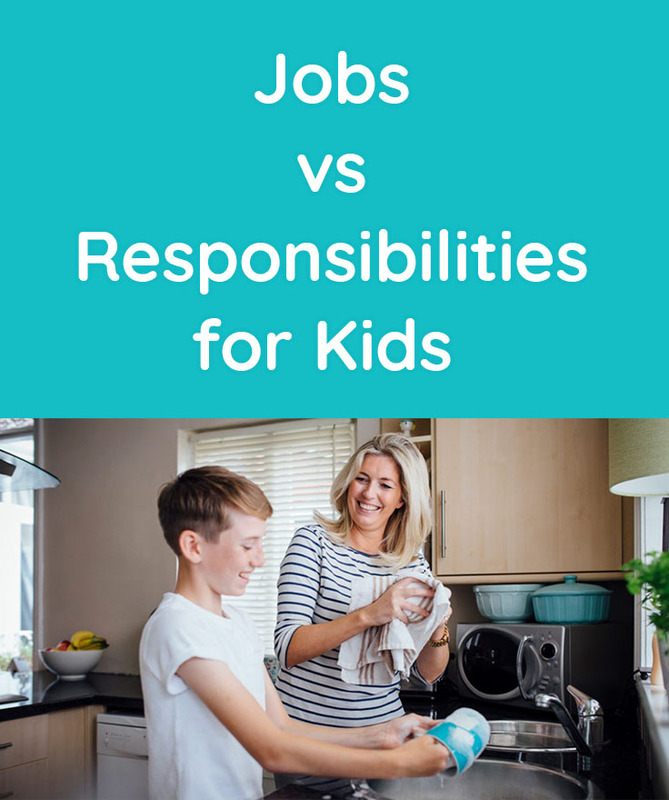 You should think of responsibilities for kids as being something that teaches a life skill. These are also tasks that one should simply do because they are part of a family. The perfect example would be something like making your bed, picking up dirty clothes, or doing the dishes. Tasks that a person should do to maintain a tidy household. These types of everyday tasks wouldn’t be something that a kid would earn money for, as these tend to be something that is expected. However, you can connect responsibilities with privileges – not a reward, but still something that kids get when they take care of their responsibilities. A privilege can be daily screen time, weekly allowance, or anything else children in your family get when they behave and complete responsibilities. Jobs for kids are usually something that perhaps an adult would do as their daily task to take care of the home or the family. Jobs for kids could be something like taking the trash out, folding or washing laundry, raking the leaves and so forth. Something that is not expected of them, so you’ll reward them for doing it anyways. Assigning jobs to kids is something that will teach them life skills, while also allowing them to do something to earn a little extra cash. This helps them learn work ethics, and it can even motivate them towards entrepreneurship. While this is a brief synopsis of what jobs versus responsibilities are for our family, the definition isn’t set in stone. Some of you may agree with our breakdown of the differences while the rest of you may feel slightly different. That’s okay and that’s the beauty of being the parent to your kid, you are able to pick and choose what will be assigned as a chore and what will be expected as a responsibility. We hope this article helps inspire you to make your own definitions and work towards having a team family mentality within your house.